Have you interviewed with, offered a job, or been hired by Vons Companies, Inc. (Vons grocery stores), Vons Pavilions or Pavilions (Pavilions grocery stores), and Safeway (Safeway grocery stores)? If so, we are interested in communicating with you about your experience even if you are not interested in suing. Currently, Gallenberg PC, a Los Angeles County class action lawyer, is investigating a potential class action against Vons Companies, Inc. (Vons grocery stores), Vons Pavilions or Pavilions (Pavilions grocery stores), and Safeway (Safeway grocery stores), related to their interviewing, hiring, and employment-related practices. 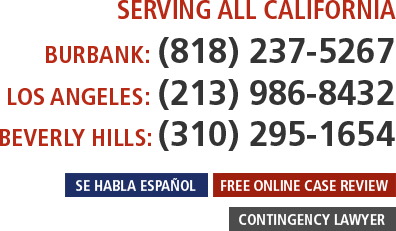 If you have interviewed with, offered a job, and/or been hired by one of these stores in either Los Angeles County or the California Bay Area in the past two years, and would be interested in potentially pursuing a class action or if you want further information, we encourage you to call us at (818) 237-5267 (Burbank) or (213) 986-8432 (Los Angeles) or (310) 295-1654 (Beverly Hills). Or you can fill out our quick and easy online Case Evaluation Form, which is the quickest way to get your case screened by an attorney. If you have any information about this investigation, please contact us immediately.